The FTC Rule requires parent company financial disclosures in certain cases. Specifically, the FTC Rule requires disclosure of the financial statements of “any parent that commits to perform post-sale obligations for the franchisor or guarantees the franchisor’s obligations.”So if the franchisor wants to avoid disclosing parent company financials and to protect the parent company from the liabilities of the franchise company subsidiary, the simplest approach is to be sure that the parent company does not perform any post-sale obligations of the franchisor to the franchisee. In other words, a franchisor should ensure that either the franchisor itself or an affiliated company, and not the parent company, performs any post-sale obligations of the franchisor. These obligations might be, for example, a requirement to supply specified equipment, goods, inventory or services to franchisees. An affiliate other than a parent company is permitted to provide goods or services to franchisees without triggering an added obligation to disclose financials. Completing the franchise disclosure document is a complicated, yet necessary part of the franchising process. FAQ 30 qualifies this requirement. It states that “if a franchisor’s parent is the sole supplier of a good or service without which a franchise cannot be operated,” the parent company’s financials must be disclosed in Item 21. “To the extent that a prospective franchisee is asked to rely on a parent to perform post-sale contractual obligations or relies on a parent’s guarantee, the financial stability of the parent becomes a material fact that should be disclosed.” Statement of Basis and Purpose, 72 Fed. Reg. 15444, 15511 (Mar. 30, 2007)In other words, parent company financials are not required when the franchisee may optionally purchase the goods or services either from the parent company or other sources. But parent company financials are also not required when an affiliate is the supplier and the affiliate does not guaranty the obligations of the franchisor. For this reason, many franchisors will have a holding company that owns both a supply company and a franchisor entity (as well as an operating company that owns the “company” outlets). These are affiliated companies or sister companies.The requirement of audited financials is one reason that many new franchisors form a new entity to be the franchisor, rather than the company that has been operating the business through company-owned locations. tem 8 (restrictions on sources of products and services) requires disclosure of required purchases from the franchisor or its affiliates. This includes disclosure of the total revenue, revenues from all required purchases, and the percentage of total revenues that the franchisee or its affiliates receive from required purchases. 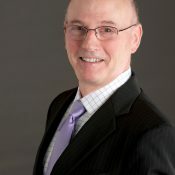 Thomas M. Pitegoff is a veteran franchising attorney based in the New York office of national law firm LeClairRyan and has worked with numerous restaurant companies over the course of his career.